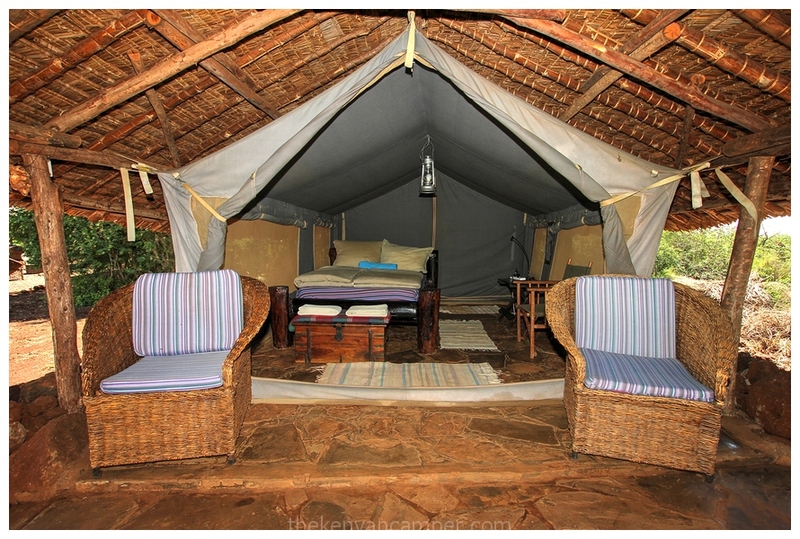 Amboseli Bush Camp is a self – catering camp located within the Amboseli eco-system in 300 acres of private property. The property has no fences and as a result is an important migratory corridor for all sorts of fauna. 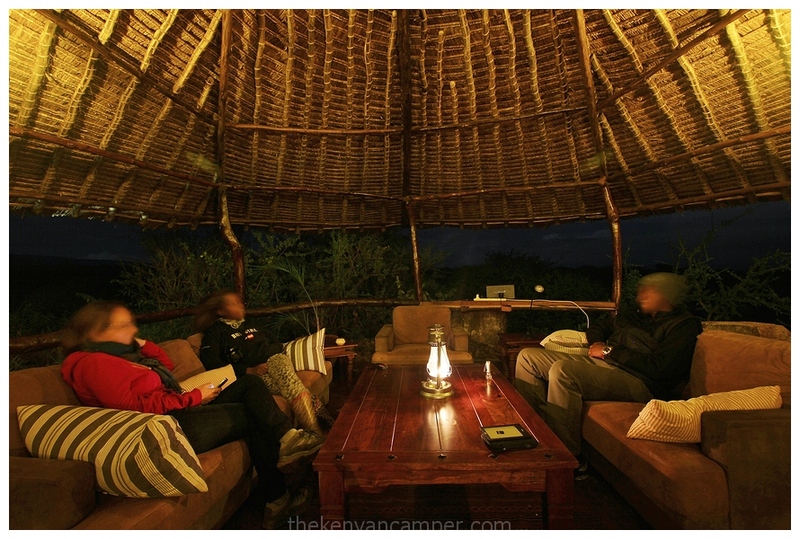 It is located on 5km away from Amboseli National Park’s Kimana gate and so is a great base to use if you are visiting the park. 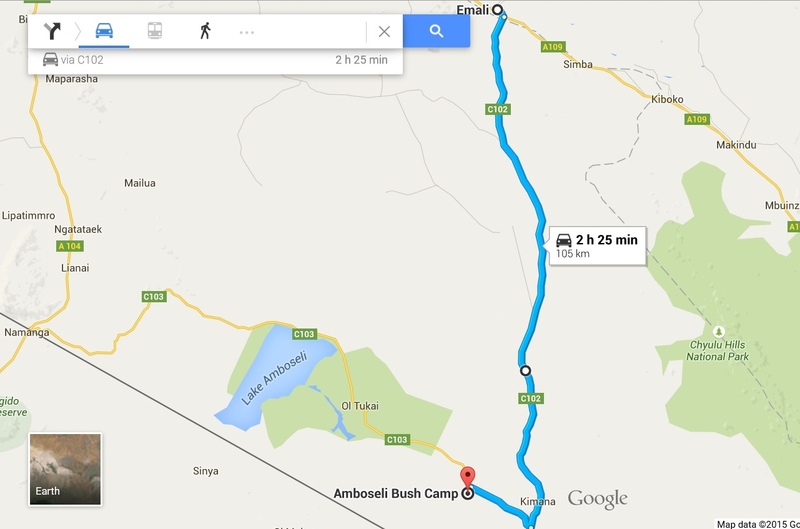 No need to make this more complicated than it is, the place is clearly indicated on Google Maps, it’s about a 3 hr drive from Nairobi. As always save yourself a few hours (and years off your life), leave Nairobi early enough to avoid Mombasa Highway traffic. There is 12km of graded murram from the turn off at Kimana town, 2WD okay when dry, SUV recommended when wet. When I first found the camp deep in the inter-webs the photos i had to fuel my imagination were not the best but the spark was lit, and the camp did not disappoint. Lets have a look. 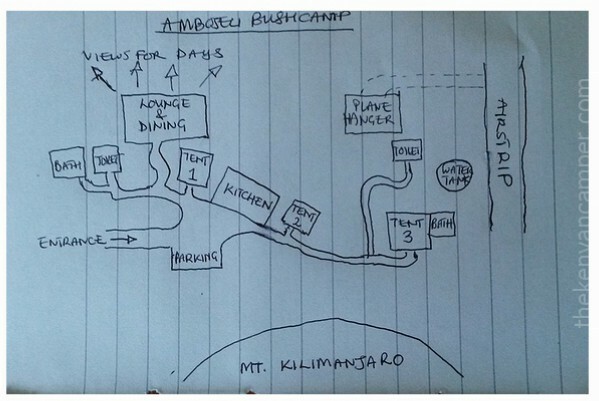 An awesome drawing of the camp layout, positive comments welcome. 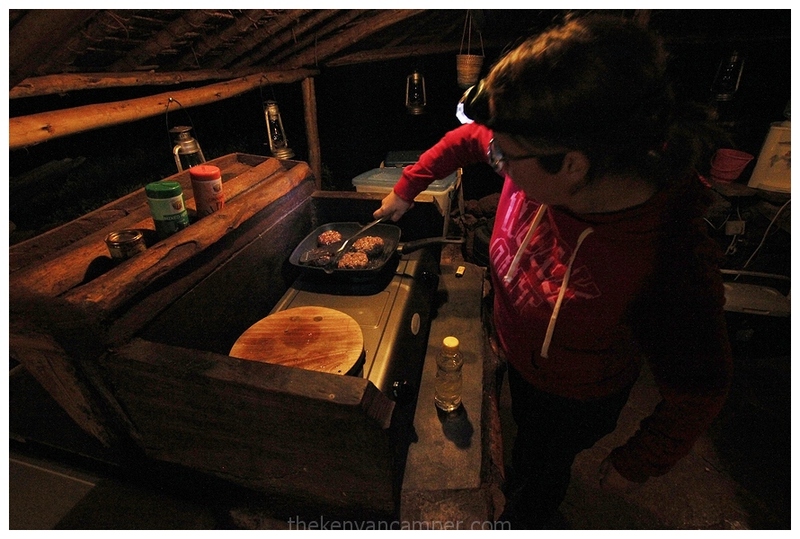 The open-sided kitchen is situated in the middle of the camp which is exactly where it should be for a self catering option. When self-catering a lot of activity and interaction happens around meals so kitchens usually get a lot of action. It is is well supplied with a gas cooker, solar freezer (that gets really ice ice baby too cold, too cold), water dispenser and even a blender. Of course all cutlery and crockery is available as well and there is running water. Lets just basically put it that you really don’t need to carry any kitchen equipment from home. Allow me to go into unnecessary territory; the knives there are of very good quality, those who like to cook will really appreciate that. Don’t know why that really stuck with me but i do notice small details like that. It should also be noted there is a pizza oven , this is a must do. Bring all the ingredients for a pizza and Gerald will happily make one for you. It can also be used for roasts. 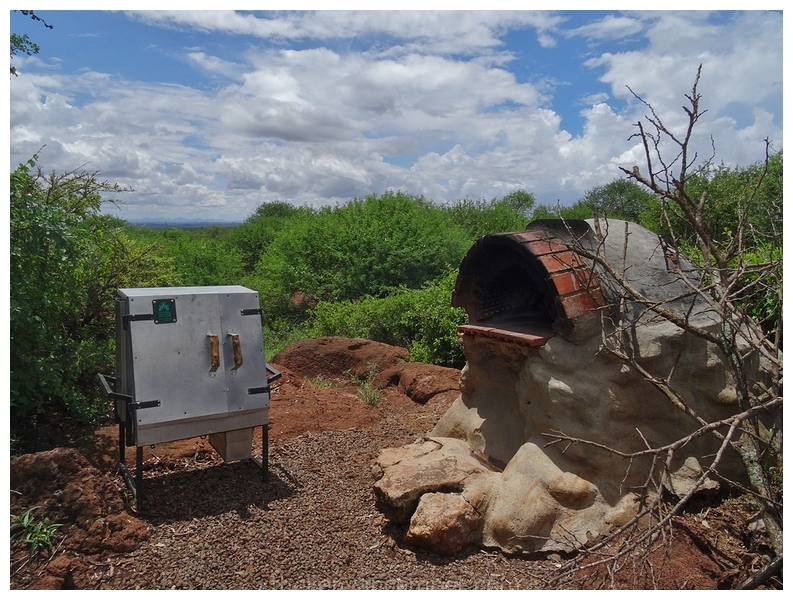 Here it is having a face-off with the safari oven I was taking for a test run thanks to Teddy of Cookswell Jikos. This nifty piece of kit deserves its own post so look out for that soon. In the evening the guys here will start a campfire for you while whoever in your group draws the short straw makes dinner. There is no cook here but they will help out with the dishes. It should also be noted there is a pizza oven , this is a must do. Bring all the ingredients for a pizza and the Gerald will happily make one for you. It can also be used for roasts. The Muse hard at work creating another of her culinary masterpieces. This woman has been known to create a 3-course meal using a packet of unga and 2 eggs. Look at that wrist action. You will have to be content with bucket showers here, Dickson and crew will kindly heat for you water either in the morning or evening. The lounge area is is a few steps away away from the kitchen and was one of my favourite places to hang out. Again simply done, nothing overboard. It does what it’s meant to do, enhance your relaxation. Ladies and gents look at that view. Cant you just see yourself here with a book or a beer? 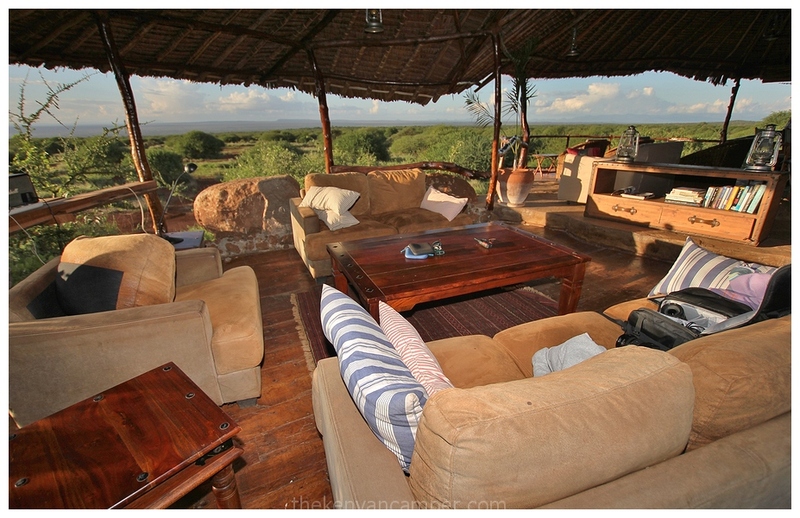 There is a also an eight-seater dining area because thats just how Amboseli Bush Camp rolls. We had some great meals here. 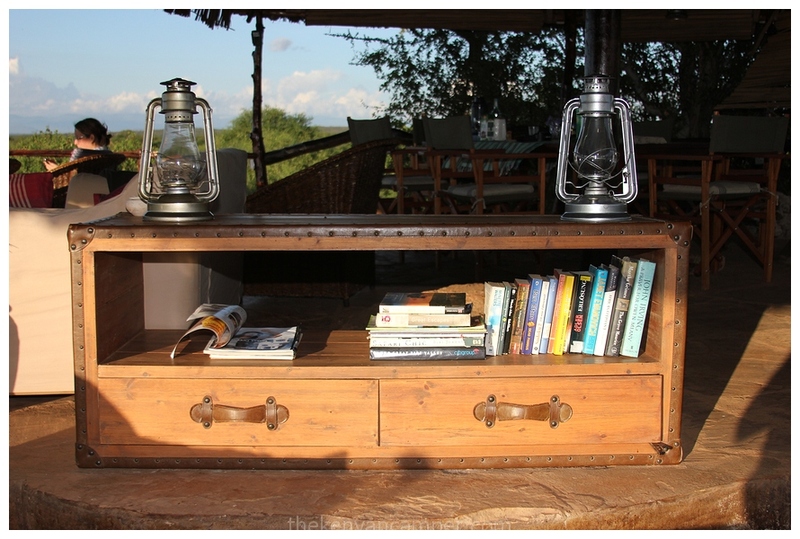 Nice selection of books to read, the kind of detail The Kenyan Camper likes. The bobble heads having a laugh and a chat in the evening. The camp has 3 tents at the moment, all have double beds in them so plan your group mix accordingly. I guess if there’s a single guy and gal they might appreciate the fact they have to share a bed…or not. Camping is also allowed. The tents are simply kitted out but once again detail is not spared. And the beds…oh so comfortable. If you have a low threshold for cold you might want to carry an extra duvet for the nights, it can get quite cold depending on the time of year you visit. One of the tents has its own hang-out zone, nice. None of the tents are en-suite, one does have a space for you to have your bucket shower otherwise the toilets are a short walk from each tent. Toilet paper is supplied. Something i did notice about the camp is that it’s quite wheelchair friendly, another nice detail. 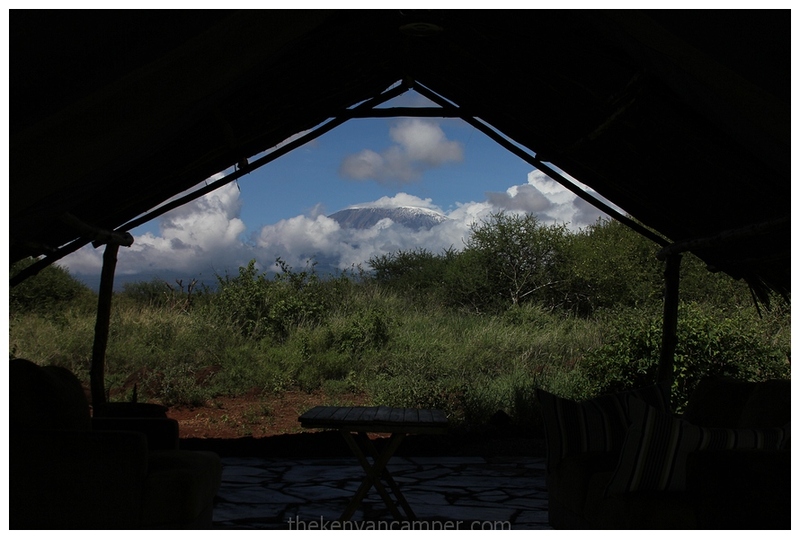 View of Kilimanjaro from the warmth of your bed. Have i sold this place enough yet? 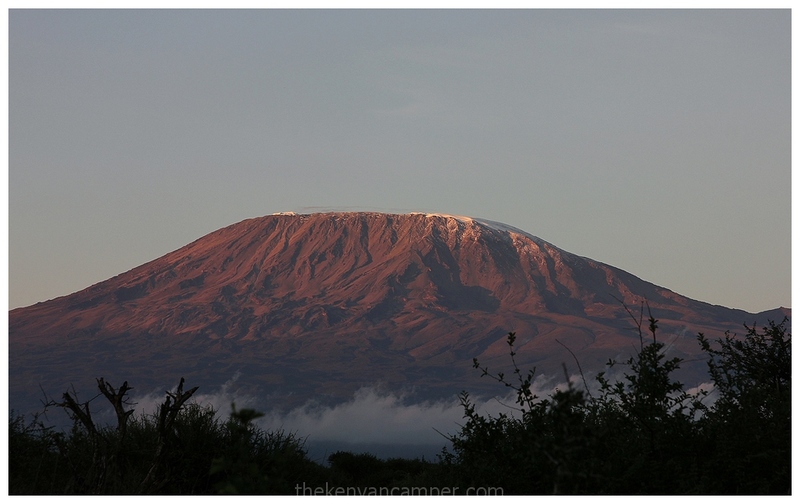 Stare for hours at the highest mountain in Africa (what i spent my days doing). In the photo below you can see how once warm air passes over the mountain it forms clouds as it cools. Fascinating stuff. Dickson can take you for a walk around the property and see masses of birds, warthog, impala, giraffe etc etc. Below JN and HK head out for their 2hr walk. Otherwise just hang around camp. Another beauty of this place is that everything’s close together but yet so separate. You can either decide to hang out but if it’s privacy you want, thats there as well. Families with young children might want to take note of that. The hanger area and airstrip make for a short evening walk as well. One evening a family of elephants came through the camp and down to the hanger and we were able to track them just like it happened on Mount Ololokwe. Sorry no pics as it was pitch dark. Brilliant! The camp is solar powered so please leave your angle grinders at home. There is lighting through out the camp including the tents so charging batteries and what not is a breeze. 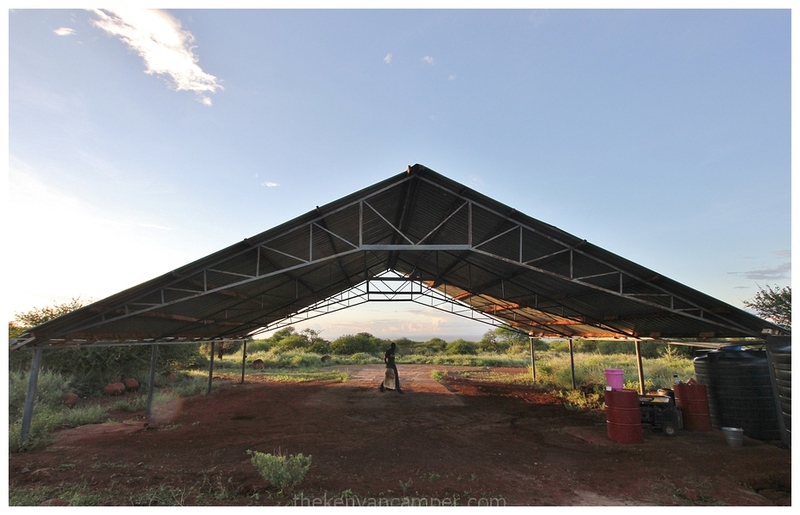 Solar power makes so much sense in Kenya. 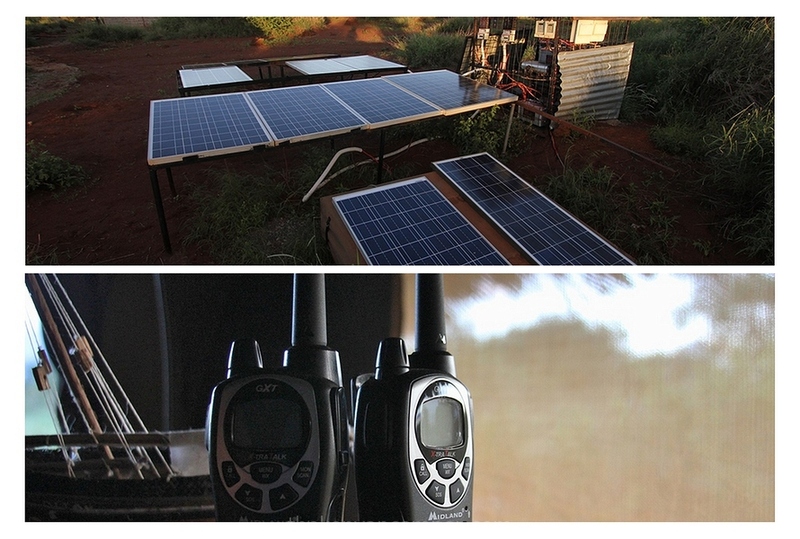 There are also radios in each room and the common areas should you require assistance from any of the guys on site. 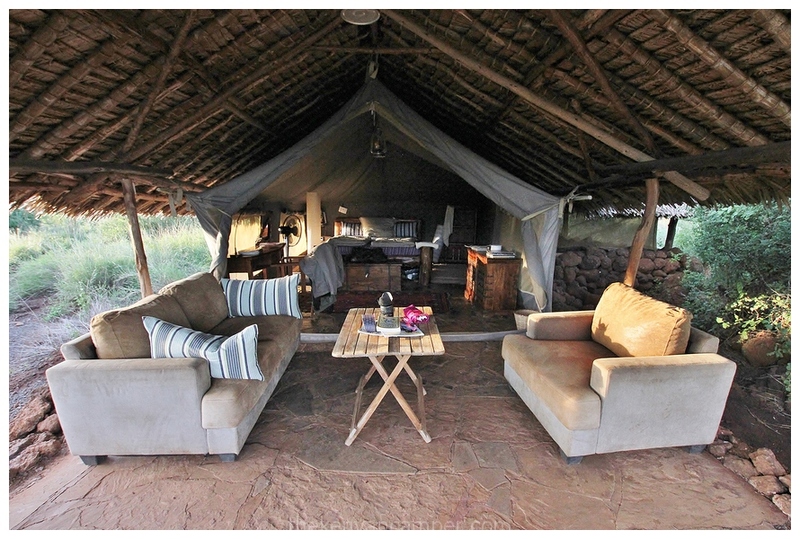 After all you’ve read I guess you’re wondering how much all this would cost you, it could all be yours for….wait for it ….Ksh13,000 a night. I know what you’re saying thats not very cheap. Sorry i meant Ksh13,000 for the whole place. 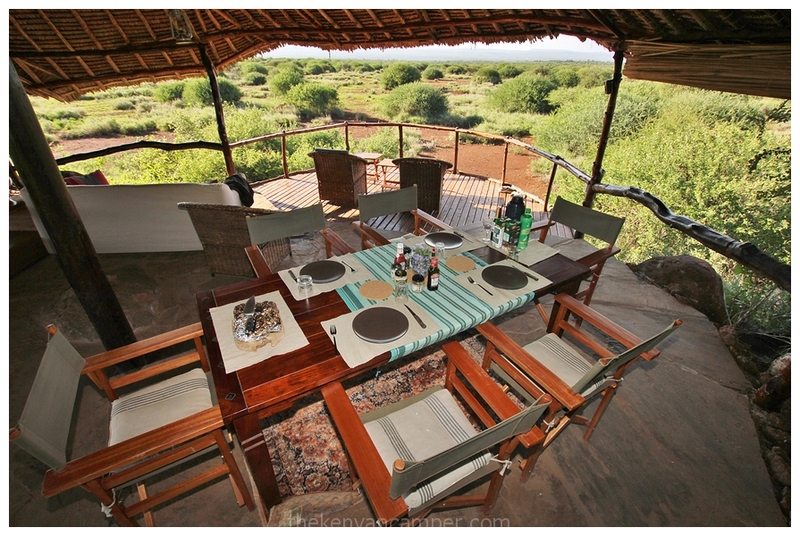 That’s right, if you’re 6 of you thats Ksh2166 per person per night. I have nothing to add. Note that this is a private residence and so please respect it as such. Leave everything as you found it and respect any property that is not yours. Also this is also a wildlife area so if you’re the loud music crowd, this might not be the place for you. 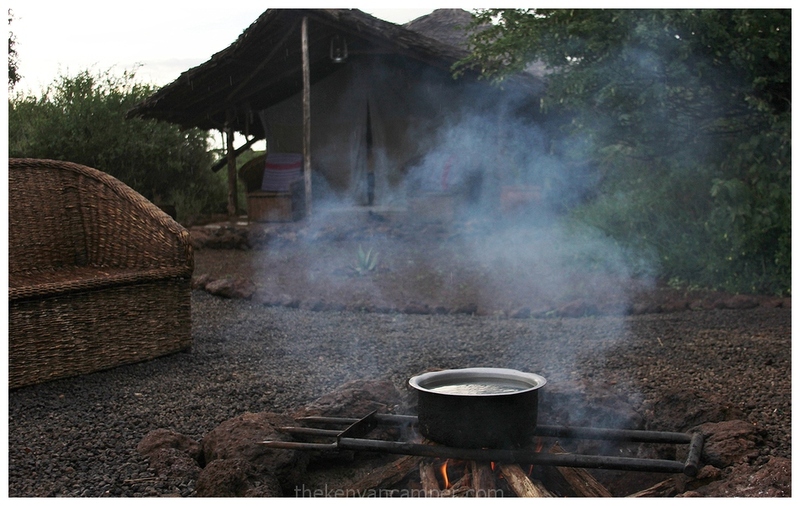 To stay at bush camp book through https://www.airbnb.com/rooms/3739426. So there you have, simple is, as simple does. As I’ve said before there’s really no reason to complicate things that can be done easily. 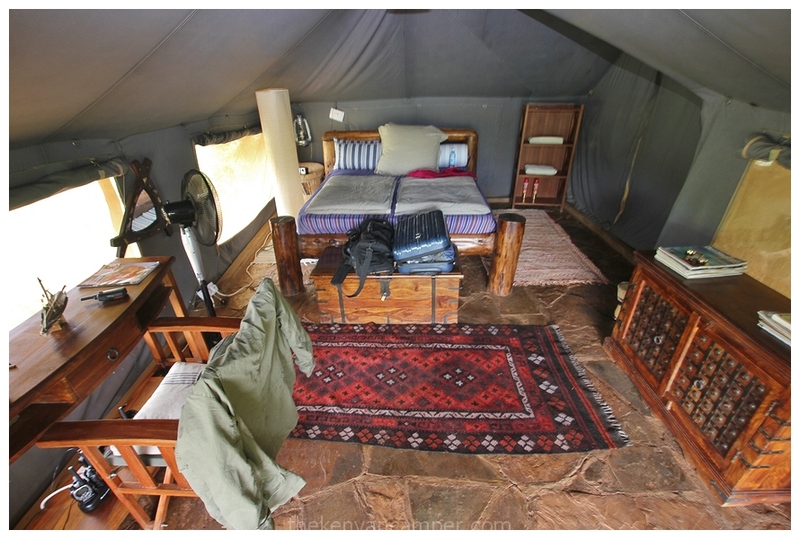 Amboseli bush camp is a great testament to how easy travel and accommodation in Kenya can be, straight and to the point, with no fluff or fanfare. 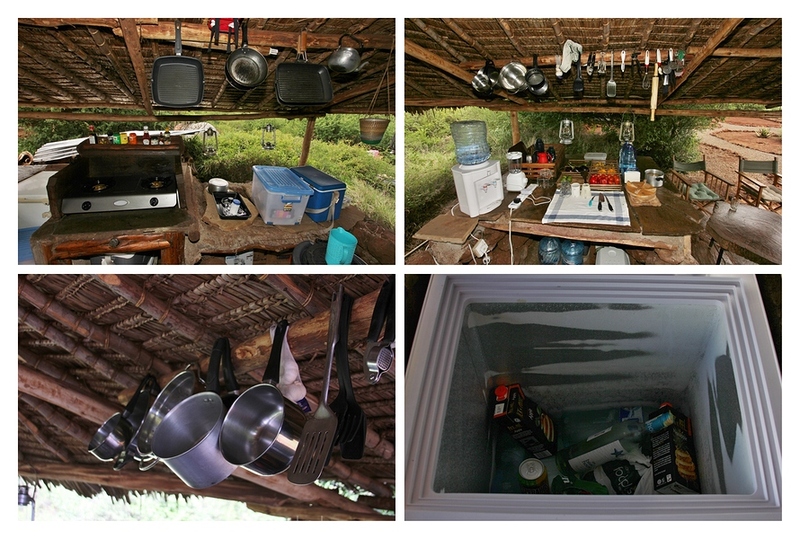 Just like camping, self-catering is not for everyone. Some of us can’t live without our buffet breakfasts and olympic-sized swimming pools. But for those of us who travel for the love of it and are willing to keep it simple, “just enough” is well……good enough. Fabulous find, your KenyanCamper blog. Been reading through all of the reviews you have written. Lets find more places! Western Kenya- Cheranganis right up to Mt Elo (or is it Mtelo?) There is a super banda camp. Hope Jonathan is still there! . Hi Odile, glad you’re enjoying the blog. Yeah I wish I could discover more places and share them but I’m only one man! So for now I can only do much more. Hopefully I am planning be back in Cherengani/Tugen Hills next year. Fingers crossed! This threw me off my feet if there is such a word !! Fantastic place and fantastic piece..cant wait to power my Landy maybe in September and visit. Pray for rain, then you can get some practice on that low range. Enjoyed reading it. Great pics. Its on my list. You got the spelling of ‘seater’ right and the photos transport us to wherever you go. Haven’t camped in a long time hence I really like your spreads of locations. Keep it up. 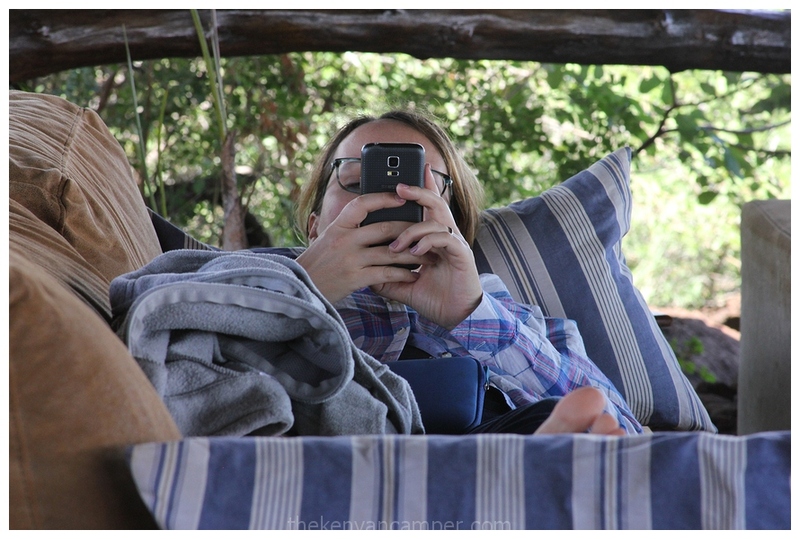 Wonderful blog – not everyone who wants to visit Kenya is an american millionaire, or wants to spend every night being stuffed silly in a lodge. 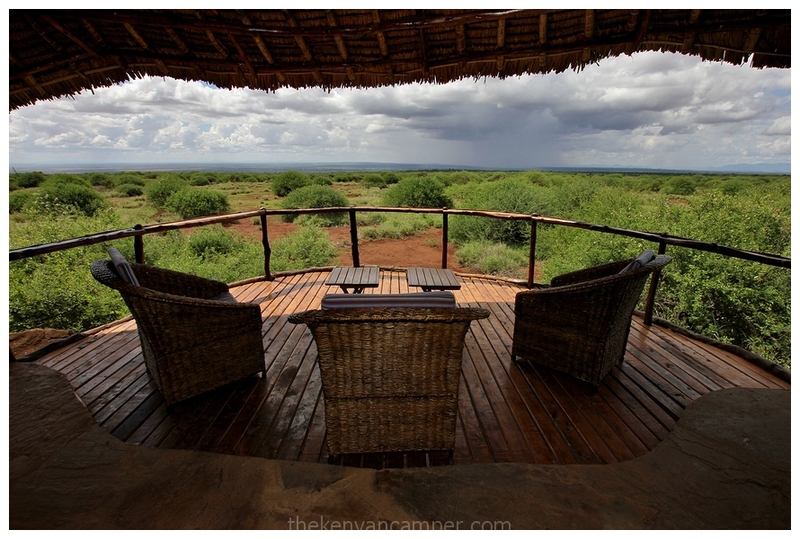 Lovely to see other places in Kenya, more please! I know exactly what you mean thats why I try and provide a few alternatives to the norm. Love this. Putting it on the bucket list. I’d love to read your take on about the place. Please send me the link when you do. That’s great news. Please let me know how your trip goes. Curious to get someone else’s opinion on the place. 13k for the whole place is a good deal. i like. in your example you have used six people. now my question is, what if we are more than six lets say a church group of 25 will the price remain or what!??? Well, for 25 people I really wouldn’t know how that would go. You would have to ask them directly. Great piece. Tried booking for the festive season but the dates are taken. Hi Carol, sorry for the late reply I’m in the bush without network. Airbnb is the only contact. It is very wheelchair accessible, you’ll be breaking the speed limit in no time. Do you have their direct contact? I can’t seem to find it on the Airbnb site. Sorry the Airbnb is the only link available. 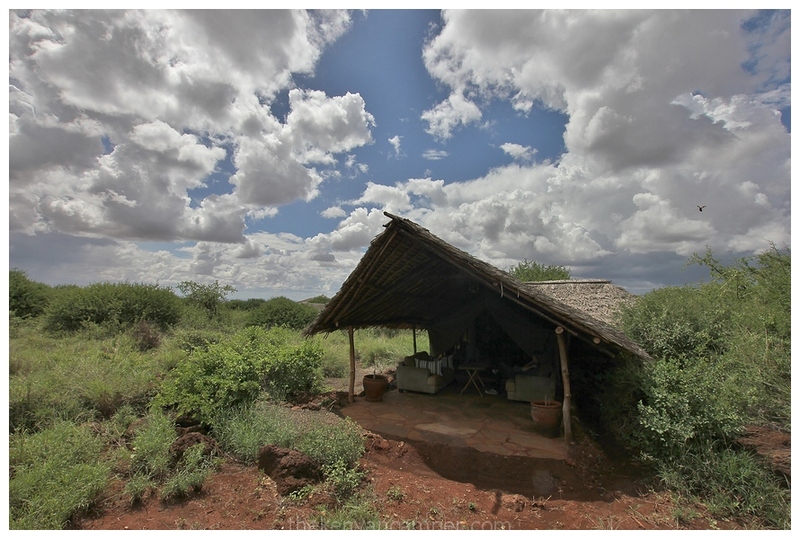 Hi Pieter, happy to hear my blog has given you a few ideas for budget options in Kenya. I don’t know why our tourism industry seems to think every one has got lots of cash to throw around and this makes it seem like quite an expensive destination. The truth is that there are many other alternatives if you just know where to look. Please pass through our beautiful country, we would love to have you! 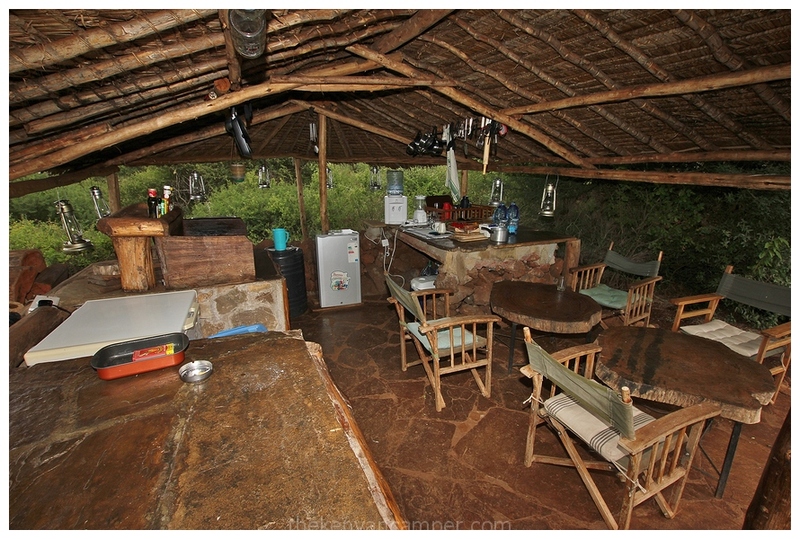 You never mentioned Game drives, is it an activity that can be undertaken? 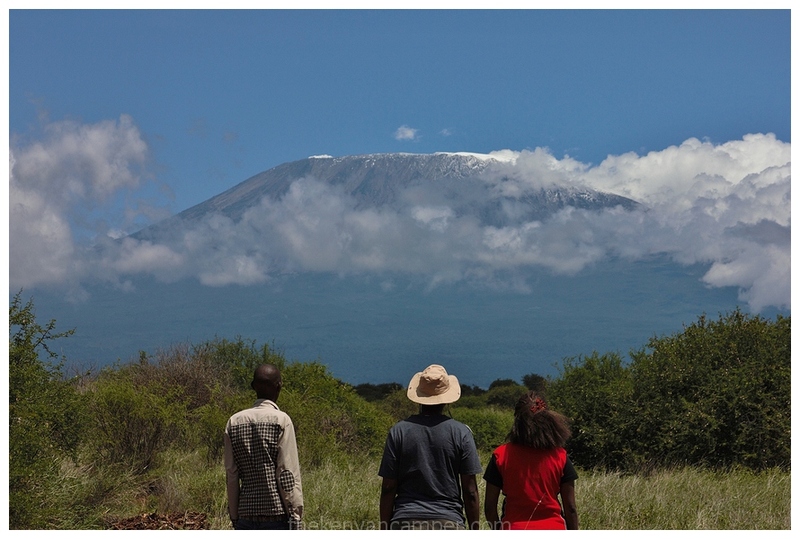 Amboseli National Park is a 15 minute away so you can game drive to your hearts delight. 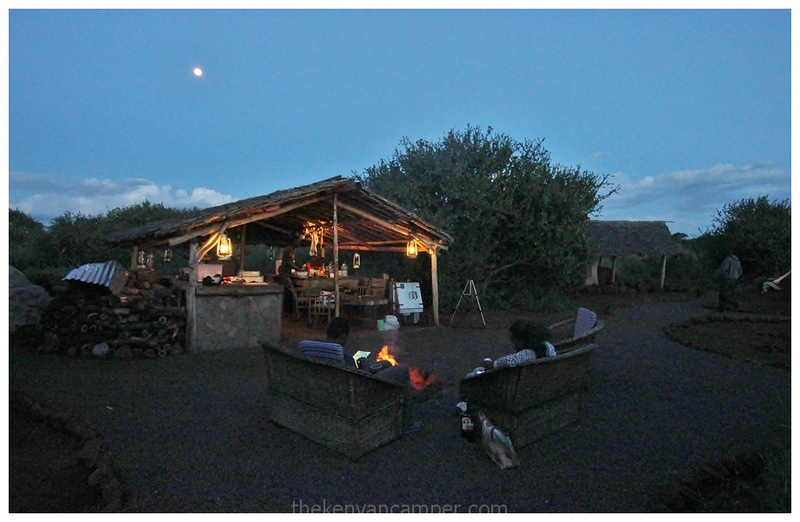 Kenyan Camper, you really do a good job! Thank you, it’s always really nice to get some positive feedback from you readers.